Well, we want to show you a few ideas about how to plant the favorite flowers at home in a hoop planter. 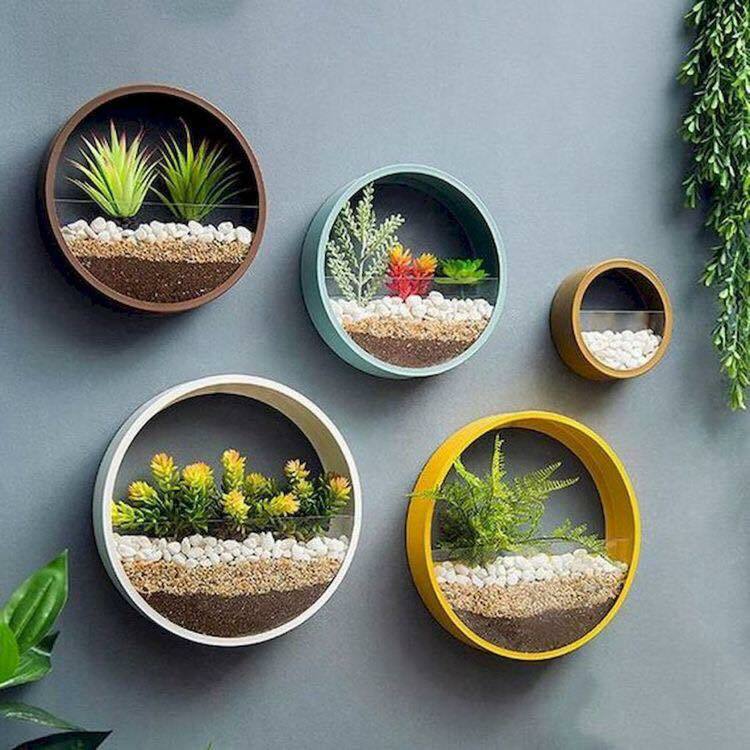 These hoop planters you can hang it on any wall inside of outside of the house, or you may leave it in horizontal line and also to grow them in easiest way. 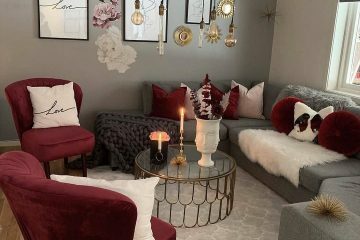 I invite you to stay and to see these cute and fancy hoop planter ideas that will make your day for sure! Are you interested in house plans dimensions, click here to read more about this! This is the best idea that will save you space at home, that will be the home fro your flower and plants and place where you can create different terrariums. 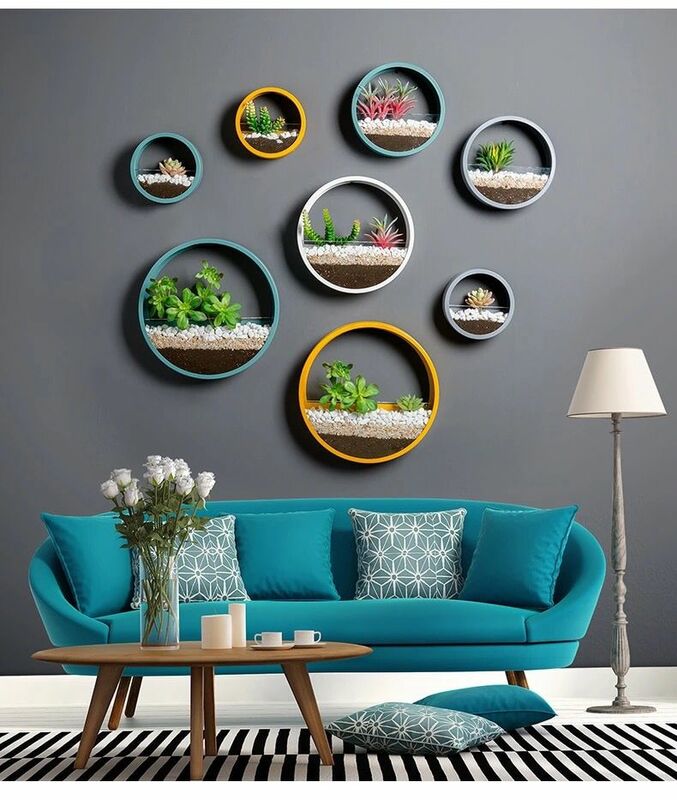 You can bring the hoop planter inside the living room and to add it on the wall. 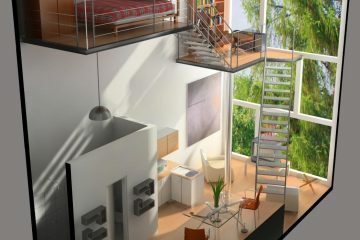 In this way you will create a vertical garden and here you will grow the plants you want to grow. The third idea of this post is about how to decorate the hoop planter, how to add pebbles and different things here and to create something so mini and nice. Take a glimpse in the photo now and to find motivation. We love those small things we have at home, something that we didn’t pay too much with money but we have paid with effort. 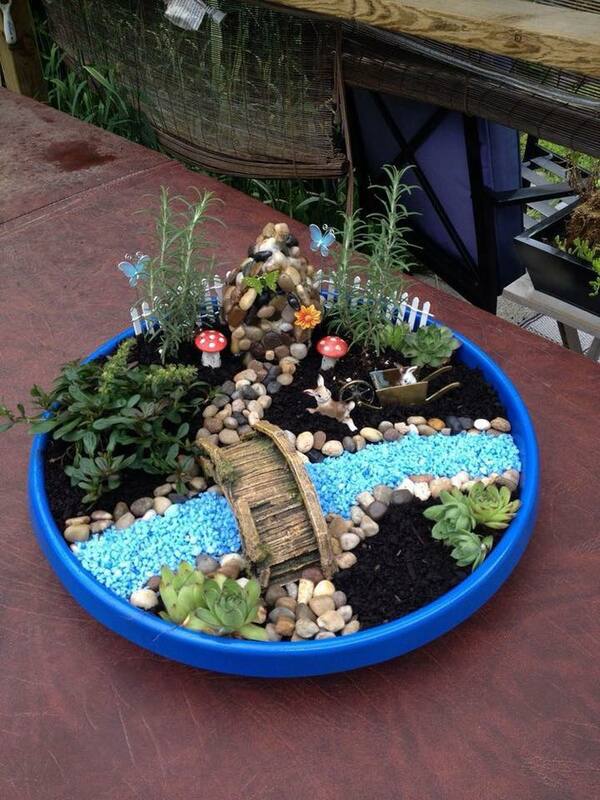 With many effort and patien ce you can create this litle basket in the photo here. 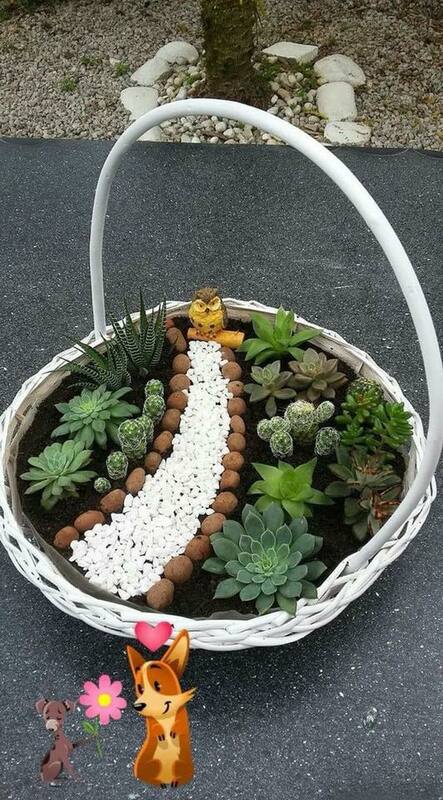 this is abasket filled with stones, rocks, flower, plants and sands. With all these elements, ythis is so expensive, beleive me!! Many times happened to me to forget that I have so many flower pots on the floor so I suddenly put my leg inside the pot which is so annoying. But, our solution for this problem is to use hoop planter, to hang the flower pots on the ceiling and to save space on the floor. Take a look in the photo now and see how will look all this. 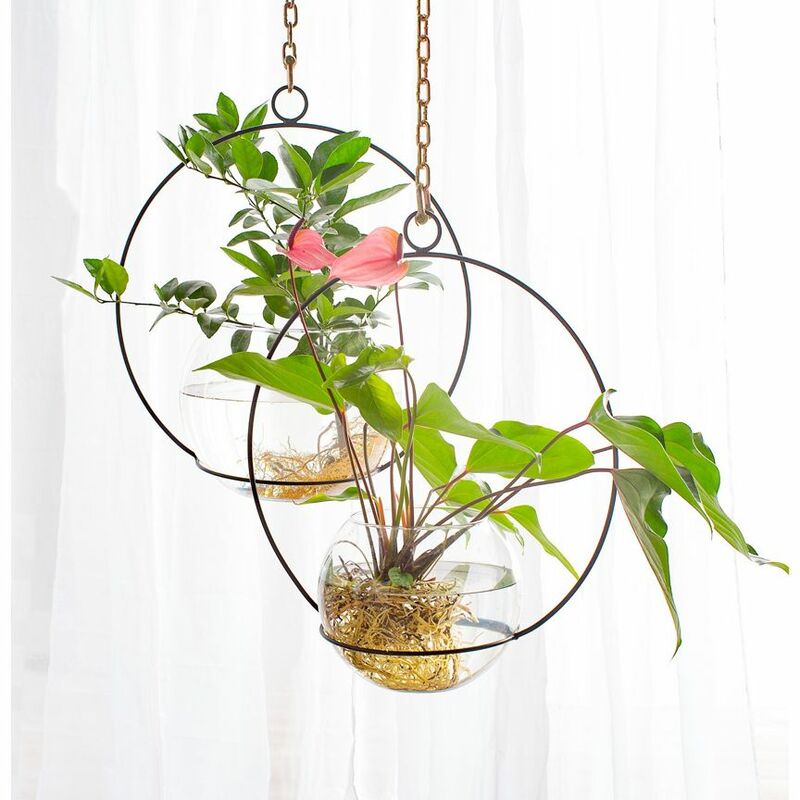 Kill two birds with one stone, plant the flower into the hoop that is hanging on the ceiling for the living room but also choose this to be your lighting home decor. Bring the light here and enjoy in modern home interior. 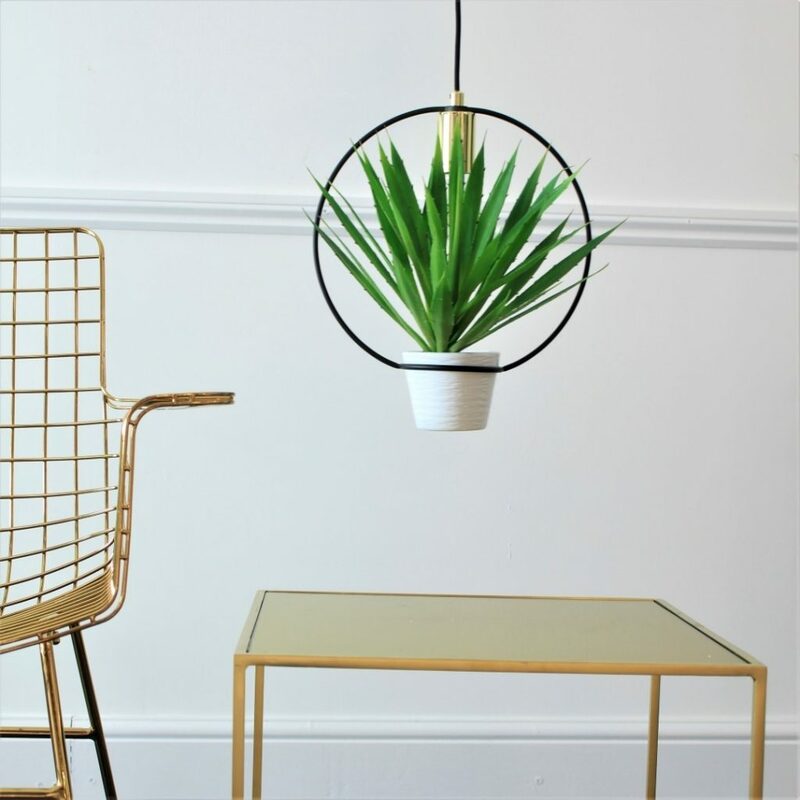 You can save on money fro buying expensive lamps when you can have cheap lamp that will also serve you as a planter. At the end of the post, we will just add that we feel so happy to have a faithful follower like you and we appreciate your free time shared with us! thanks so much, be our follower in future too and together we can create a modern home interior but also exterior! 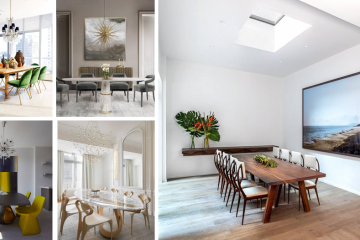 Are You Ready to See Extraordinary Living Room Designs?